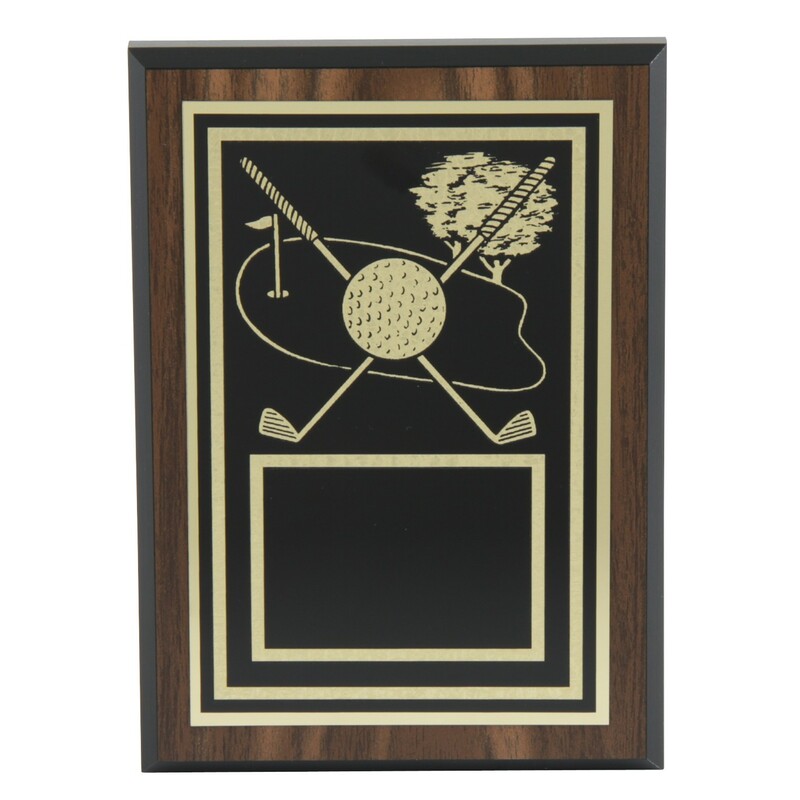 This Engraved Golf Hole Victory Plaque features a gold inlay line art engraving that portrays two crossed golf clubs with an over-sized golf ball image in the center. In the background, a golf course and some trees serve as backdrop. Plaque size is 5" by 7" with a simulated walnut plaque board. Your golf master will love this plaque.